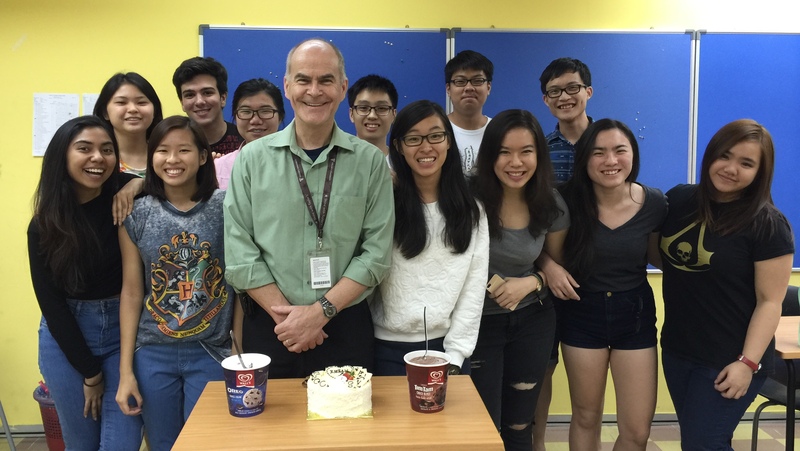 This will be my last English class in Asia, and I could not have asked for a nicer group of students to finish out my time at Taylor’s. They were bright, motivated, and kind. They were willing to take chances and push their own boundaries. They were also extremely faithful in their attendance, which is a huge factor when your class comes at the end of what is always a long day in the CPU program. We did not get off the best start as I was in the States for the first three weeks of the term and the unit had to be covered by a colleague. Fortunately for me, Daniel Layng knows a lot about Critical Approaches to Literature and covered the unit well. I was around long enough at the beginning of the term to get the ISU novels assigned, and get the kids started on a reading schedule, and that was easy enough to pick up when I got back. The ISU essay is always a tricky bit of business, and I decided this time around to divide it up into two parts, rather than tackle the whole monster by itself at the end of the term. This allowed me to block out the essay into digestible parts for kids for whom the whole idea of a research essay in literature is an alien concept. I have always maintained that the only way to properly edit your own work is to write it and put it away for at least a week. In our case, we researched and wrote the essay and even marked the first half of it, and then we put it away for two months. When we came back later to do the comparative past with a film that had the same thematic interest, the kids had a better perspective on the essay they had written, and a better idea of what movie fit for comparative purposes. I had kids doing Baz Luhrmann’s Great Gatsby, Landis’ Trading Places, James McTeigue’s V for Vendetta, and even one able student doing Hitchcock’s Vertigo. Ii made for some good essays, and even better seminar presentations. In the past, I have found kids had a hard time filling the twenty minutes they had for their ISU presentations. This time around, I was forced to cut some kids off after thirty minutes! It was awesome! We also had a new novel this year. As much as I love Yann Martel’s Life of Pi, I was frankly getting a little seasick! In my absence, the department had moved on to Khaled Hosseini’s A Thousand Splendid Suns, a fitting follow up novel to The Kite Runner that is also set in Hosseini’s native Afghanistan and deals with the issue of the treatment of women in that part of the world. It is an important book for Asian students – especially females – to be studying in a culture that lags at least a generation behind the West in its understanding of the place of women in society. We also studied Shakespeare’s Othello, again a pleasant change from the melancholy Dane, Hamlet, who quite frankly gets on my wick, despite the soaring soliloquies of Shakespeare’s most famous play. Othello is far more visceral and personal; a devastating examination of the demonic in all of us. Not nearly as accessible as either Hamlet or Macbeth (the latter being the Bard’s best, imho), I was forced to use film to explore the play’s nuances, and found Olivier’s 1965 version, blackface and all, to be a most faithful and useful version; with one glaring exception. The 1995 version with Lawrence Fishburne and Kenneth Branagh does a much better job of examining the oppressive victimization of women that Shakespeare so eloquently explores in a pivotal scene with Desdemona and her bff Emily. We then had the fun of staging that scene, and the final one where Emily just goes ballistic all over male entrenched privilege and the murderous implications of their ‘ownership’ of women (“Oh, you idiot! You stupid fool! As dumb as dirt!”). Feisty and fascinating to see the young women of my class come to grips with their own issues of oppression in a patriarchal hemisphere through the persona of their characters. It was exhausting to try and cover this class to the standards I set for myself in thoroughness and comprehension while trying to wrap my responsibilities up as Project Coordinator for CSR. It was also rewarding and enjoyable and deeply satisfying, and pleasant to be back in class with a really nice group of kids. I am looking forward to getting back into a full teaching role in the Caribbean. It is, when all is said and done, the heart of who I am.